Your conservatory is filled with light, streaming through windows spanning the entire room. 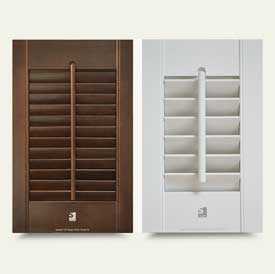 While this can make the room feel airy and wide-open, in the summer it can quickly become too hot and glary. 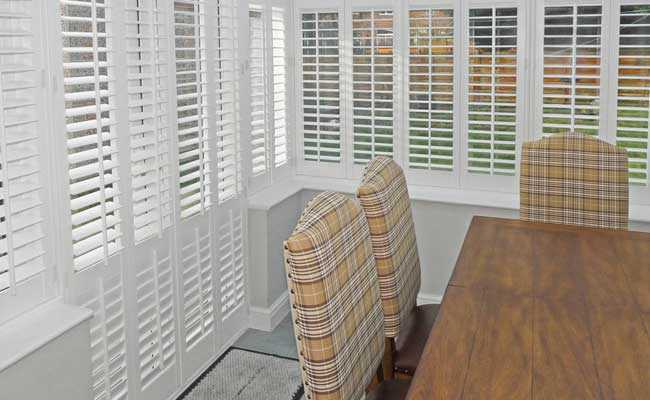 Shutters are a fantastic way to control the light levels throughout your conservatory, and at Gemini Blinds we can design, supply and install made-to-measure conservatory shutters perfectly suited to your tastes. 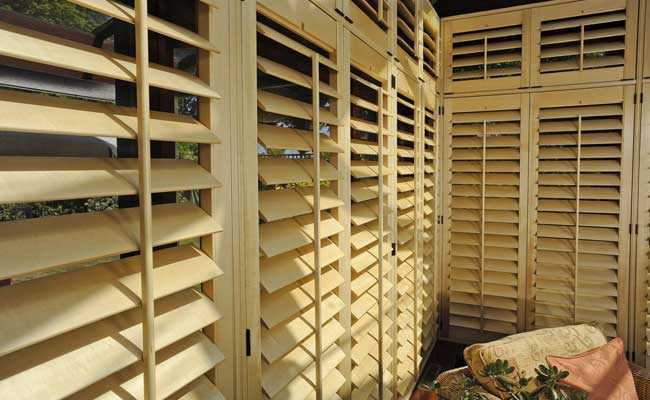 Available in a range of materials, including wood, faux wood, vinyl and PVC, bespoke shutters from Gemini Blinds can bring elegant style and easy functionality to any conservatory. We can even provide conservatory roof shutters to ensure consistent coverage across the entire conservatory. 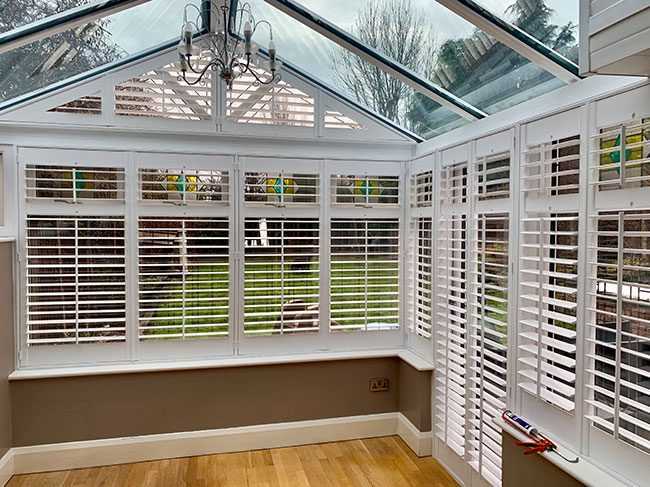 Shutters provide a strong traditional aesthetic to any room, and with a wide variety of colours to choose from, you can enhance the style of your conservatory no matter the size or shape of your windows. 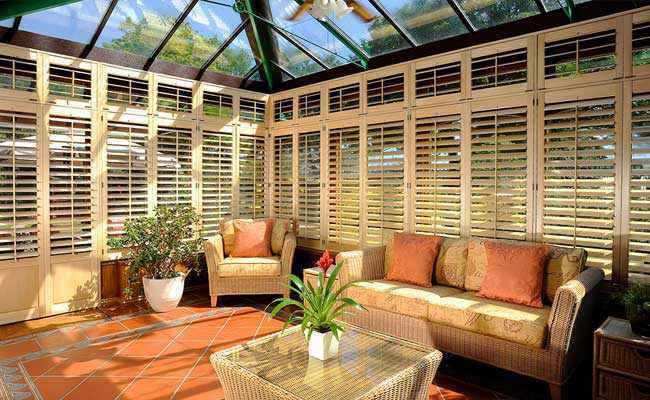 If you’re looking for conservatory shutters built to the highest possible standards, simply contact Gemini Blinds today. We’re happy to provide free home visits across Chester, Manchester, Liverpool, the Wirral and the surrounding areas to help you find the perfect shutter style for your conservatory.